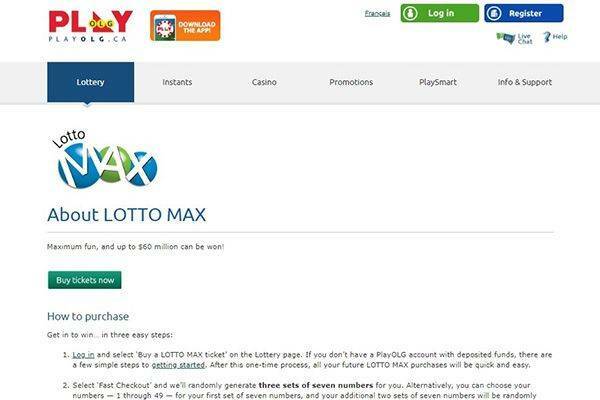 Available to only residents in the Province of Ontario, Canada – PlayOLG.CA is a pretty basic online lottery operator allowing to play the 2 biggest lottery draws in Canada: Lotto Max and Lotto 6/49. Given to the fact this a regulated website, you cannot purchase online tickets to the biggest lottery draws from around the world such as: Powerball and Mega Millions that are highly popular among Canadian lottery fans that normally travels to the U.S to purchase these tickets from the nearest lottery kiosks. 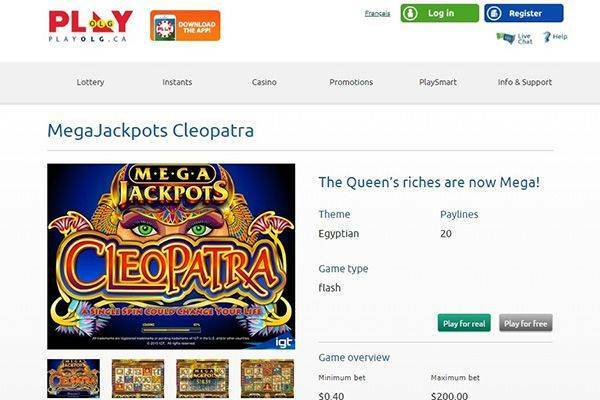 This stands as one of the major disadvantages of choosing PlayOLG.CA as your favourite online lottery operator. Regular – the basic form of buying a lottery ticket, just like the local kiosk. You simply register and verify your details, once that done you’re now able to purchase a ticket to one of 2 draws: LottoMax or Lotto 6/49. If you don’t have your own lucky numbers PlayOLG can generate ones for you randomly. Encore – A nice add-on to every draw you participate, simply add $1 to when you participate in one of the available draws on the website and you’re now in Encore Play. Encore cash prizes are in the range from $2 to staggering $1 Million to whoever matches all 7 digits of the Encore number. It was quite shocking to see that a major and such an official website such as PlayOLG.CA is not available for mobile devices. Now we’re not even talking about mobile responsiveness – this site is completely not available to mobile users. Whenever such user attempts to enter the website you get an error message that the site can’t be reached through mobile devices and you should try to enter through desktop or laptop. In 2016 mobile adaptation is such an integral part of every website – small to corporate, not having such support contributed to a very poor score on our chart. 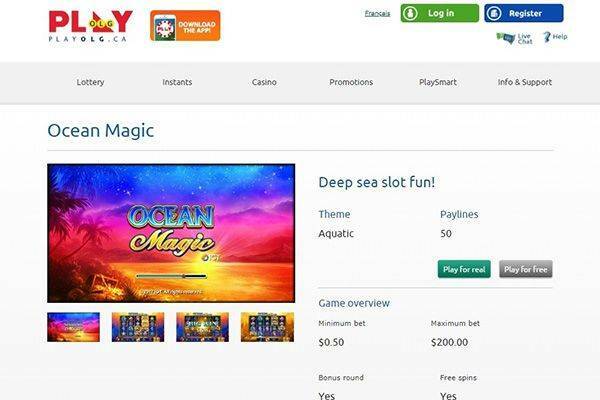 PlayOLG wants to ensure maximum use of the games available on the site therefore they’re offering a wide variety of cross-sale offers to their casino games (for example $10 free for every new customer) and bonuses for almost every deposit you make: 200% for 1st, 150% for 2ndand 100% for 3rd. 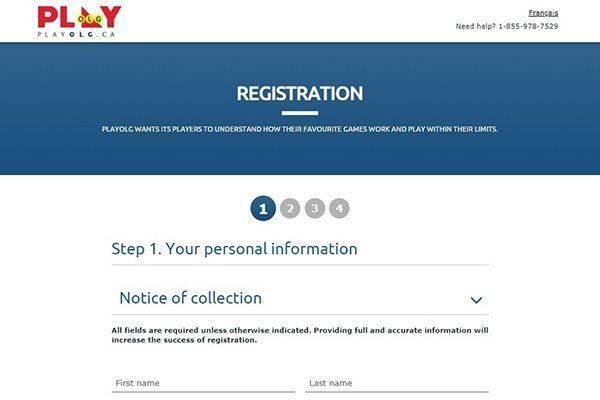 Poor selection of lottery draws, strict geo restrictions for new customers and lack of mobile support comprise a very negative overview on PlayOLG.CA. We expect more from every online lottery operator, and can say in maximum confidence that in this case the alternatives are way better. 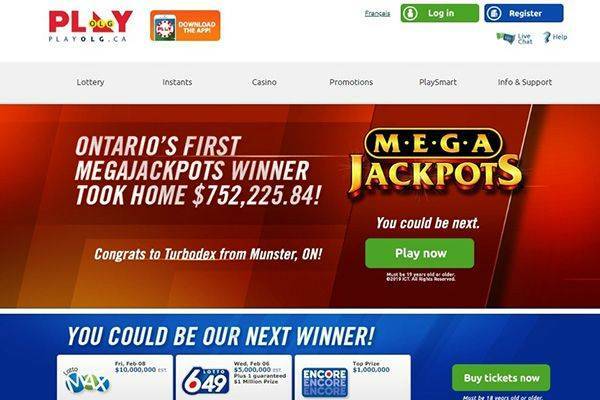 If you want to enjoy the biggest jackpots from around the world regardless to where you live in Canada and you want to enjoy the best mobile experience check out our top 10 online lottery websites for Canadians. We ensure you the websites we ranked will top PlayOLG.CA in almost every aspect possible.